A beautifully and uniquely crafted cocktail shaker from Soy's copper range – a perfect gift. From the extensive research that Soy have done, they do not think that any shaker comes close in quality and build, except the same shaker, if made from pure solid silver, therefore surpassing this item in conductivity. Soy call it the Istanbul shaker in homage to the city's spanning of two continents – this cocktail shaker comprises two different metals, silver and copper, giving it a two-tone appearance and a two-colour hue that will take a patina differently as time goes on. 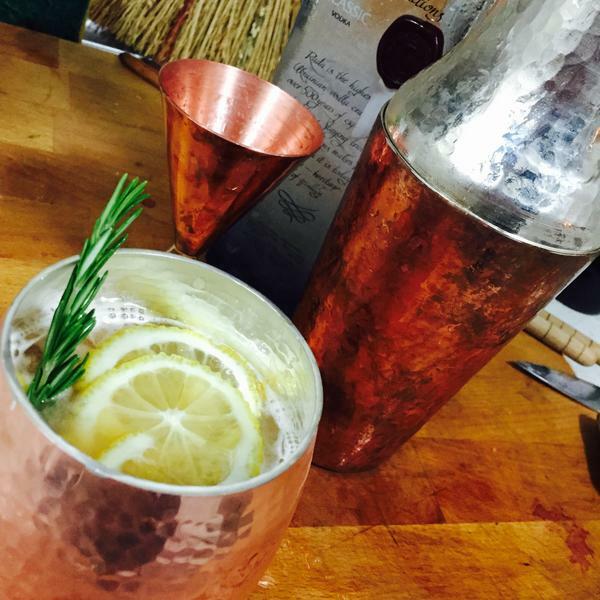 Its construction from thick copper and silver ensure that the drink is cooled not only by the ice but also by the metal, and this in a matter of milliseconds after you start shaking, finishing your cocktail 2-3 times faster than a conventional shaker. The shaker is beautifully weighted and balanced, as it is manufactured from 1.5mm copper instead of 1mm steel, and gives natural control when shaking.